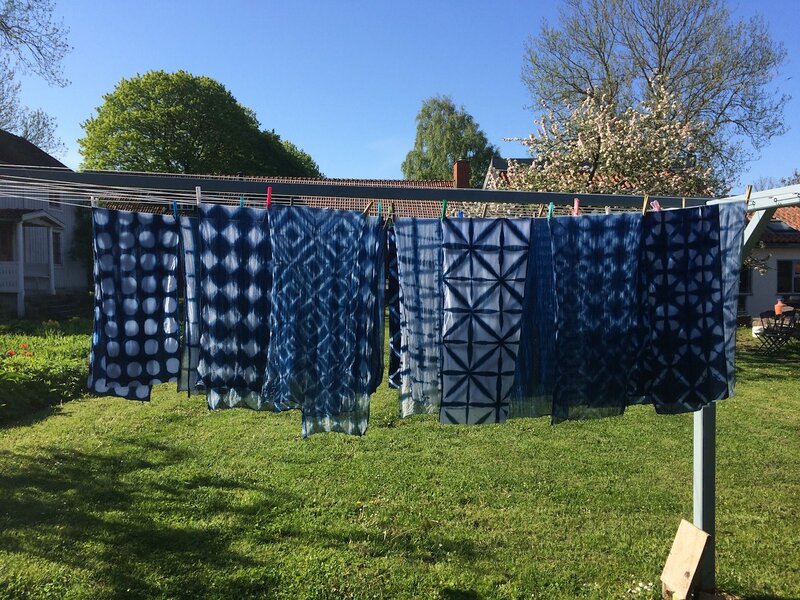 Indigo dyed with several shibori techniques. Japanese tenugui fabrics in cotton. You can purchase them at Capellagårdens exhibition store this summer.